For over ninety years, RadioShack has been a leading national retailer of innovative technology products and services, including personal, mobile, home technology, and power supply products. Founded by entrepreneurs, RadioShack offers consumers a wide range of products and services from leading national brands, exclusive private brands, and major wireless carriers—all in a comfortable and convenient shopping environment. With reasonable investment levels and hundreds of potential markets to develop, a RadioShack franchise represents an exciting opportunity for you to associate with one of the most powerful brands in retail. The RadioShack Franchise Program is a great value in the entrepreneurial franchise market as it is an extension of the thousands of company-operated RadioShack stores nationwide. As a franchise owner, you benefit from the buying power of a major retail network in the purchase of fixtures, in-store signage, and other necessities for starting up a new retail business. Our reasonable startup costs represents a true value in franchising with a nationally recognized retailer. 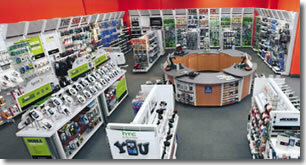 A brand says a lot about a business, and RadioShack is a brand recognized by virtually everyone in the country. 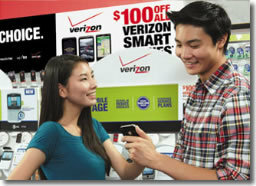 By bringing RadioShack to your neighborhood, you and your community benefit from instant recognition and a nationwide reputation for quality. With a RadioShack franchise, you can operate your store in complete confidence, knowing we're with you from the very start and we'll stay with you to help you succeed. Prior to your Grand Opening, you'll have access to a support team who will assist you not only with building your store, but also with training so that you know how to run it before the doors open for business. From the Grand Opening forward, you can count on continued support with local workshops and annual conventions. You'll also benefit from the buying power of a major retail network in the purchase of fixtures, signage and other necessities for starting up your business—we've even developed a select lineup of our best-selling products to get you started on the right foot. And once your store is stocked, you will receive ongoing updates about new products, services and offerings to keep you on top of your customers' needs. Plus, you'll have access to a dedicated home office team to assist you with ordering, inventory, etc. As a RadioShack franchisee, you'll have the strength of national media campaigns, including world-class advertising that extends beyond television to digital, print, PR, as well as search engine optimization and social network seeding. 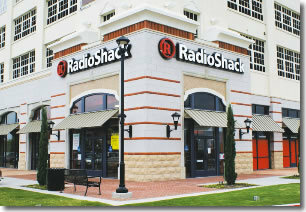 Click on Request Information for FREE info on how to open a RadioShack franchise today! Please Note: This RadioShack franchise opportunity and other franchise business opportunities, businesses and franchises for sale on this web site are not to be considered as an "offering", "franchise offering", suggestion or recommendation by Franchise Leader™. This advertisement depends entirely on the truthfulness of the information provided by our advertisers which includes, but is not limited to, franchisers, franchise brokers, franchise consultants and business brokers. Franchise Leader™ recommends that you consult a lawyer, financial consultant, accountant or professional advisor before buying a franchise or business opportunity or any type of business. By using this form or any part of our website, you have agreed to all terms and conditions of Franchise Leader™. Please review our Terms & Conditions for more information.